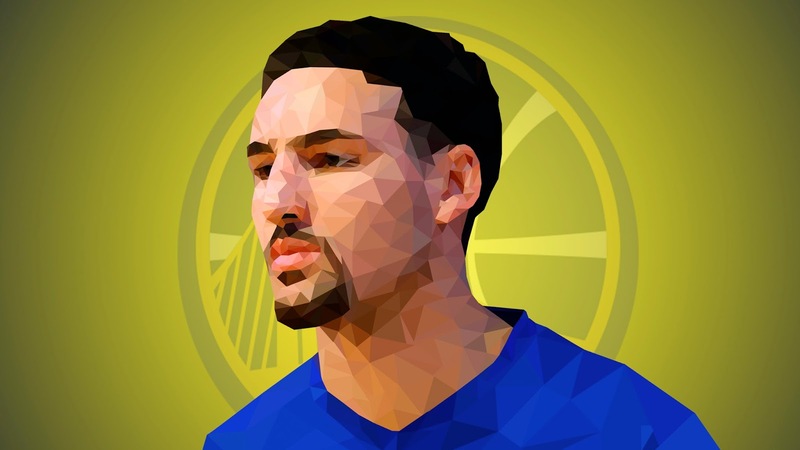 The three point All Star champion "Klay Thompson" will be featured today on our NBA collection low poly art edition. 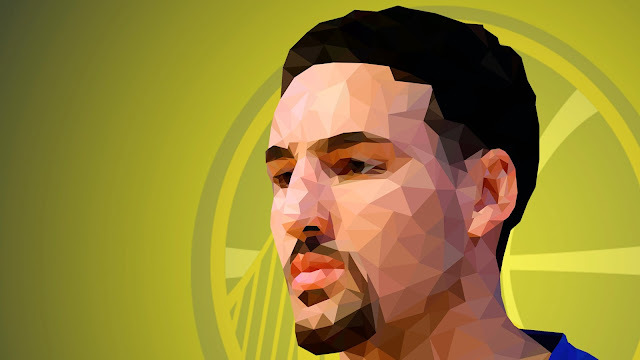 Everyone knows this guy because of his shooting ability in the three point line. 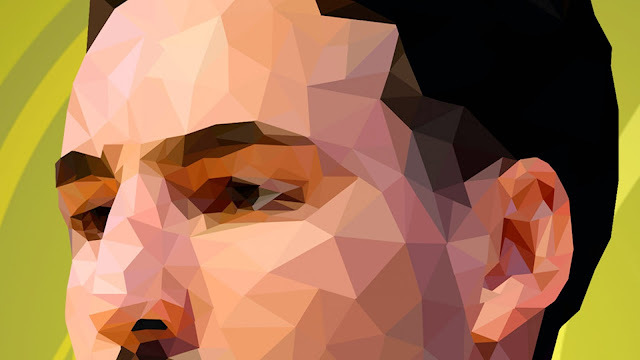 This digital low poly art took me at least five hours to make and the outcome is quiet good in my opinion. 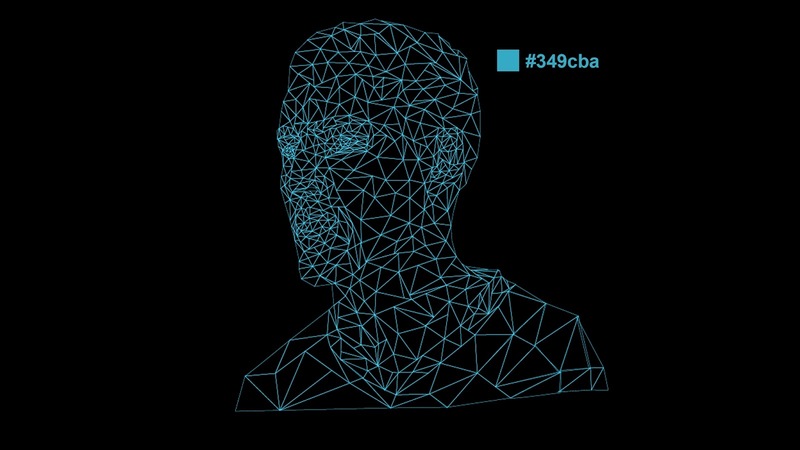 The above image is the tracing and shape forming process. It took me at least four hours to finish tracing and coloring in Adobe Illustrator. Next is background application in Adobe Photoshop it just took me an hour to finish that process. 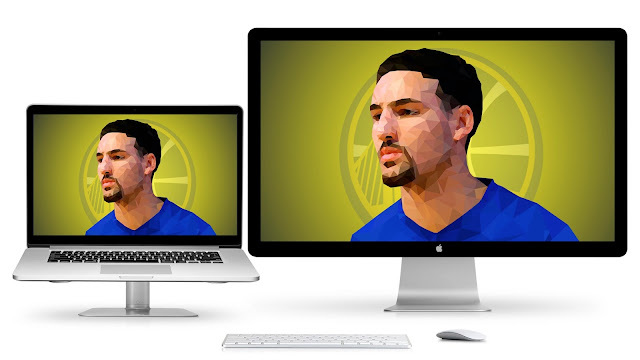 Below are the images for a closer look for the low poly art "Klay Thompson". I think I properly nailed the details this time in my opinion. Five hours of work is worth it the output is satisfying and great. Hard work pays off again and my skills leveled up a bit. Working with human faces is hard you have to pay attention to the details so the output will be great and patience is the key to get satisfying results. The last image is just a low poly art wallpaper idea. I dedicate this digital low poly art to Klay Thompson of Golden State Warriors and to the fans of Klay Thompson. I hope you guys like it and I will see you tomorrow on my next low poly art blog. Thank you for dropping by don't forget to share if you like my works.